Fully Furnished Apartment Situated on the Picturesque Coastal Resort of Sao Martinho do Porto, Ideally Suited for Those Wishing to Explore the Silver Coast. 1 hour north of Lisbon, 2 hours from Porto and Convenient to Main Rail and Road Links!! 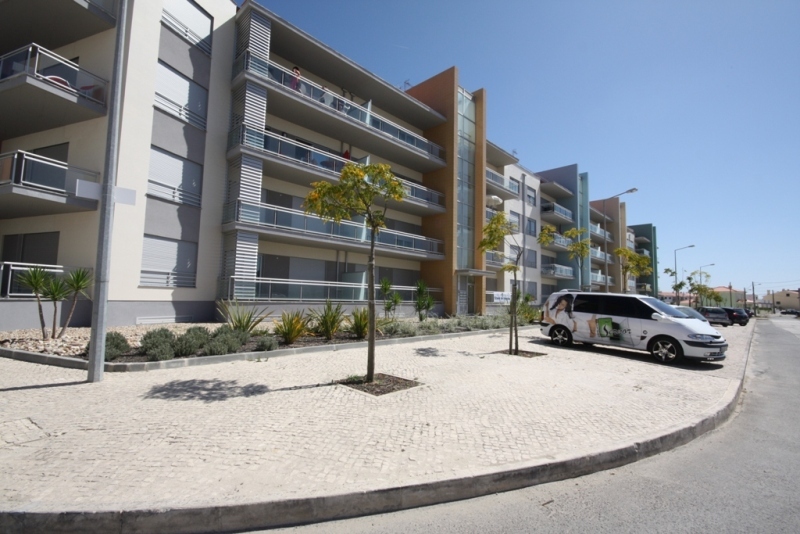 Bayside Apartments is a modern complex situated in the picturesque coastal resort of Sao Martinho do Porto this property is ideally suited for those wishing to explore the Silver Coast, relax around the pool or avail of the nearby beach. This is a first-floor apartment and is serviced by a lift and has video intercom to enable communication with callers. It is furnished to a high standard and benefits from two balconies. The first, accessed from both bedrooms and the kitchen, enjoying the morning sun and the other balcony, accessible from both the living and dining areas, enjoying the sun in the evening. The complex boasts the largest pool in the resort and the beach is only 500 metres away. Bayside Apartments is only a short stroll from restaurants, bars, shops and the main supermarket are all close by. There are parking spaces both at front door and in the basement. The property is an hour north of Lisbon, approx two hours from Porto and convenient to main rail and road links. Fatima is easily reached by car. Furnished details : The main bedroom is furnished with a double bed, bedside cabinets, stylish lamps and generous built in wardrobes. The second bedroom is similarly furnished but has twins beds. The hall and living area provide generous storage cupboards. The living area has a sofa bed to accommodate two further guests and further seating, satellite television, coffee table and floor lamp. The dining area provides a table and seating for six. The kitchen is completed to a high standard and has a table and seating area. There is outdoor furniture, table, chairs and sunloungers.